First Reformed was the first covenanter congregation west of the Allegheny Mountains. John Black, an Irishman, founded it. Ordained in this country in 1799, he began his work in the fall of that year. 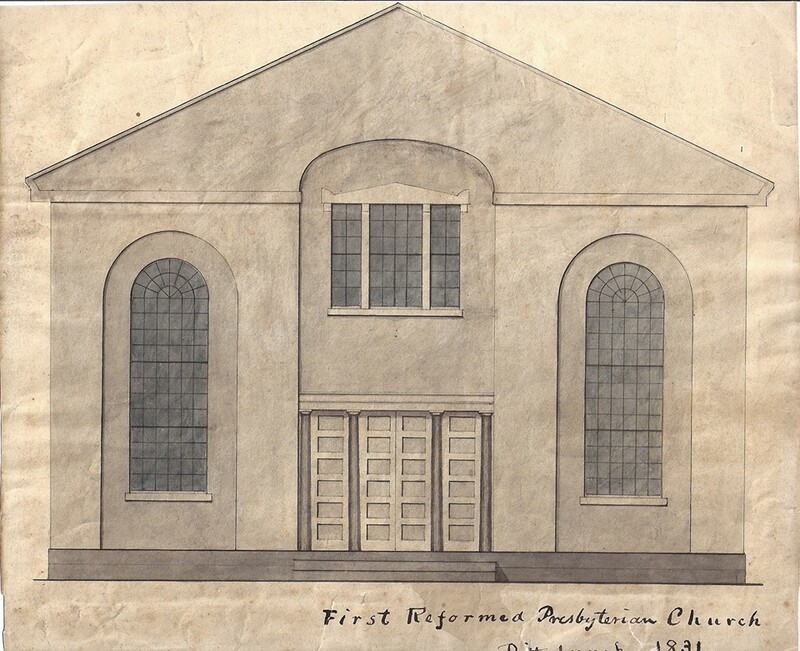 The congregation was organized and the pastor installed on December 18,1800 in the old Court House on Market Street, west of the Diamond. Dr. Black continued as pastor until his death on October 25, 1849. The congregation built the famous Oak Alley Church, near Liberty Street and not far from the old Union Depot, in 1803 (this site is currently occupied by the August Wilson Center). John Douglas pastored First Reformed from 1850 to 1872. William Young came in 1874 at the age of 23 and remained until his death four years later in 1878. Dr. Nevin Woodside came in 1880, and remained until his death in 1901. It was at the beginning of this pastorate that the property on Grant Street (located next door to the First Lutheran Church and across from the current Steel Plaza) was purchased for nineteen thousand dollars. The church moved there from the Oak Alley location. Dr. John Wilson served the church for sixteen years, from 1909 until his death in 1926. During that time the congregation relocated again, this time to Homewood. A fine stone building was erected on Frankstown Avenue, between Lang and Homewood Avenues, at the cost of one hundred thousand dollars. Also, at this time, the use of an instrument in the worship services was introduced, as a pipe organ was included in the new building. The dedication of the building was delayed due to the serious illness and death of the beloved pastor, Dr. Wilson. It was finally held on February 14, 1926. Dr. Albert E. Gregg served the congregation from 1927 until 1938. The Psalter Hymnal was introduced on April 2, 1934. Dr. H. E. Carson served from 1939 until 1943; Willard C. Billica ministered from 1944 until 1949. Charles B. Holliday, the ninth pastor to be installed, came in February 1954. The years following his installation were years of transition and building. 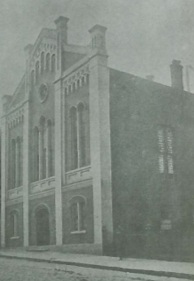 The church relocated to Penn Hills in 1958, with the dedication of the original chapel building. 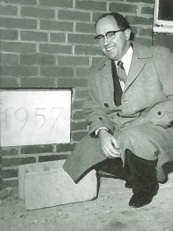 Groundbreaking for the present sanctuary, fellowship hall, and enlarged parking facilities came on December 3, 1972. Pastor Holliday served the congregation faithfully until his retirement in 1992. William H. Smith became the tenth pastor in August 1992. In December 1999 an addition, including four classrooms, an office complex, and expanded rear entryway with handicapped lift facilities and expanded parking, was completed and dedicated. Phillip N. Hardin began his ministry on May 5, 2002 and served the congregation for five years. On June 1, 2009, John W. Tweedale became the twelfth senior pastor of the church. Rev. James Spitzel also joined the staff as an assistant pastor in the same year. He continues faithfully serving the church as associate pastor. Brent Horan was installed as First Reformed’s thirteenth senior pastor on July 1, 2016. First Reformed is now in its third century as an organized congregation. While we are grateful to God for our heritage, we must not take it for granted. There is still work to be done for Christ in Penn Hills, in Pittsburgh, and beyond. We hope you will join us as we stand upon the shoulders of those who have gone before us eager to continue the grand work of the Great Commission in this great city.